Use these techniques to help prevent the spread of weeds — and learn what they can teach you about your soil. In spring, gardens burst into life. Weeds do too, and they can be the bane of a gardener’s existence. Rather than waging an all-out war, our efforts to manage weeds can be more effective when we understand the roles they play in our ecosystem. Loosely defined, a weed is any unwanted plant that grows in our gardens. Weeds can belong to any branch of the plant family, whether grasses or trees, annuals or perennials. They range from native species to introduced invasive plants to intentionally planted flowers and vegetables that got out of hand. The same plant can be desirable in one location and a “weed” in another. Anyone who’s planted mint or bamboo without using a container will experience the phenomenon of a classic garden plant spreading to become what could well be considered a weed. Weeds vary by geographic location, and include kudzu in the American Southeast and dandelions just about everywhere. What they share is their incredible resilience. They often spread by several means: seeds, roots and runners. They’re survivors. Although most gardeners consider weeds to be unsightly, these scrappy plants can have beneficial properties. Many weeds, like the dandelions shown here, are edible. Be sure to correctly identify weeds before eating them; understand safe preparation, including which parts of the plant are edible; and confirm that they grew in uncontaminated soil free from herbicides, pesticides and heavy metals. Some weeds can also provide important food sources to garden pollinators. Clover is a favorite nectar source of bees. Bronze fennel and Queen Anne’s lace attract predatory wasps and flies, as well as ladybugs, which prey on garden pests such as aphids. Strange as it may seem, weeds can improve soil health or indicate a soil problem that needs to be corrected. Folklore provides some interesting information about what weeds have to say about our soil. Weeds in the legume family, such as kudzu, vetch and clover, are “nitrogen fixers.” They form helpful relationships with soil bacteria that make nitrogen, one of the most important plant nutrients available in the soil. Folklore has it that if you see a lot of leguminous weeds, it means that you have nitrogen-poor soil where other plants won’t thrive. Over time, the nitrogen-fixing properties of these plants can help to improve soil quality. 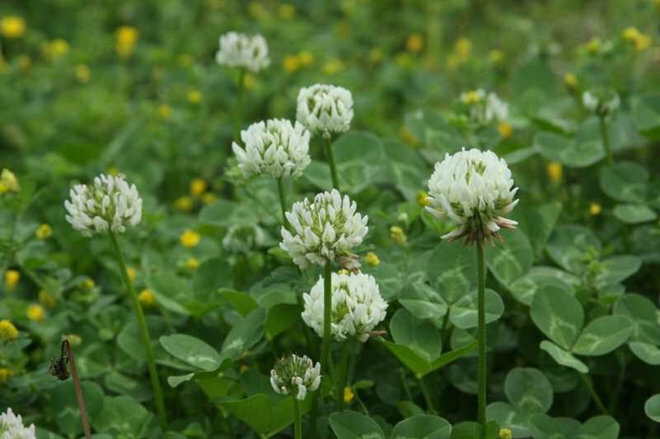 In fact, clover and vetch are often grown as “cover crops” to improve soil. 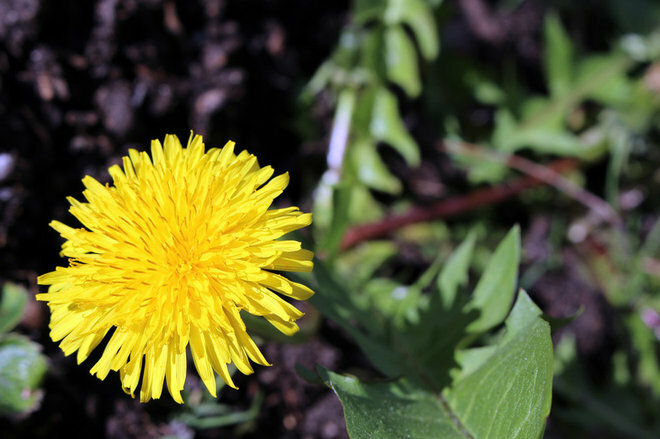 Weeds with deep taproots, like dandelions, are often found in compacted soil — think of the cracks between sidewalk pavers. 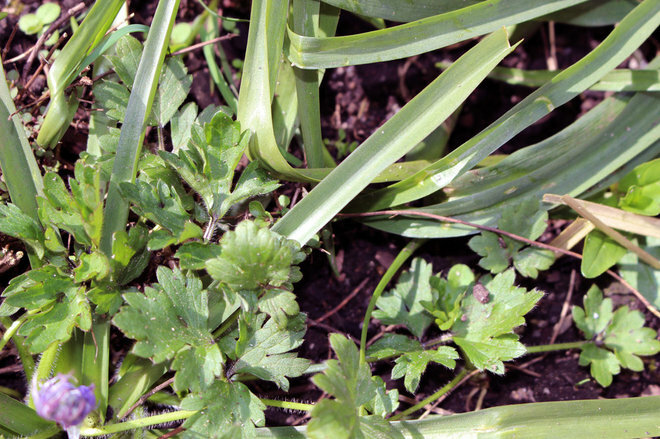 These weeds can indicate soil that’s in need of aeration. Similarly, creeping buttercups often thrive in heavy soil that lacks organic matter. These “indicator” species can tell us a lot about the health of our soil. If you have a persistent weed problem, identify the species and do some research. You might be surprised by how much you learn. While weeds can teach us a lot about the health of our gardens, we still need to keep them in check — especially in vegetable gardens, where tender crops can easily be crowded out by fast-growing weeds. While it’s impossible to prevent all weeds, you can use a few simple strategies to keep them to a reasonable amount without breaking your back or resorting to toxic chemicals. Build rich soil. Many weeds thrive in poor, compacted or disturbed soil, and enriching your soil can do wonders to reduce weeds. For vegetable gardens, constructing raised beds at least 12 inches tall and filling them with high-quality, weed-free garden soil is one of the quickest ways to prevent the vast majority of weeds. 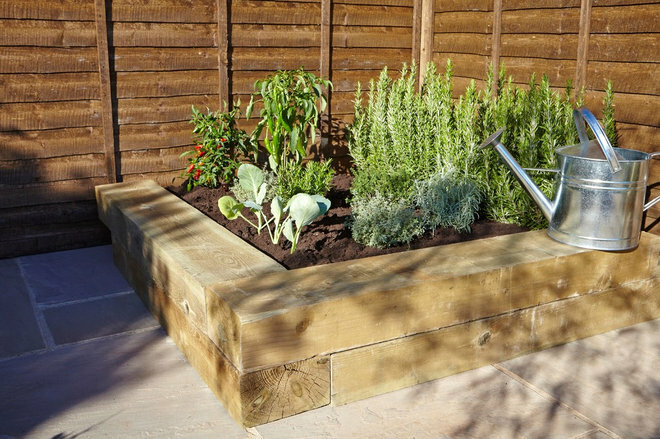 When building a new raised bed, line the bottom of your planting area with a couple of layers of corrugated cardboard (flattened boxes work well) before adding the soil. 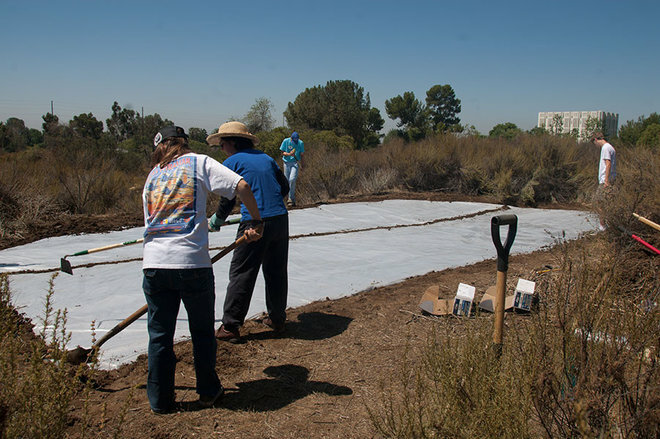 This layer will help to smother all but the most intrepid weeds. Bonus: The fluffy, highly aerated soil in raised beds makes it easier to remove weeds when they do sprout. Once your soil is in place, take care not to disturb it too much. Tilling or turning soil over can expose buried weed seeds. When adding, rake it into the surface of your bed rather than digging it under. The exception is when adding, which should be dug under in vegetable beds. Use some weekly elbow grease. The smaller the weed, the easier it is to get rid of. The key is to do some regular maintenance and remove weeds while they’re still small. If you’re growing vegetables in raised beds, weed seedlings can usually be plucked out with gloved fingers. Doing so is much easier than the strenuous work of digging out full-size dandelions. Furthermore, removing weeds while they’re young will help to prevent them from going to seed and spreading further. Comb your garden for weeds once per week. Keep a bucket at hand while you work to make cleanup easy. You won’t get every single weed — don’t even try — but do your best to remove the bulk of them. To save your back, kneel or squat beside your beds rather than bending at the waist. Knee pads or a stool can be helpful for this purpose. Get to the root of the problem. Be sure to remove the whole plant, especially if you’re removing full-size weeds. This is easier said than done, but it’s important because sneaky weeds can multiply from the broken ends of roots. 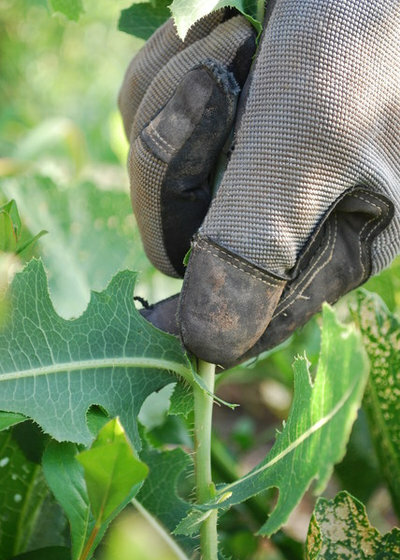 When removing taproot weeds like dandelions and comfrey (which produce long central roots), be sure to dig deeply using a weeding tool or shovel. For weeds with fibrous roots, like buttercups, dig widely around the whole plant. Don’t give them space. As the saying goes, nature abhors a vacuum. Take this truism to heart in your garden. 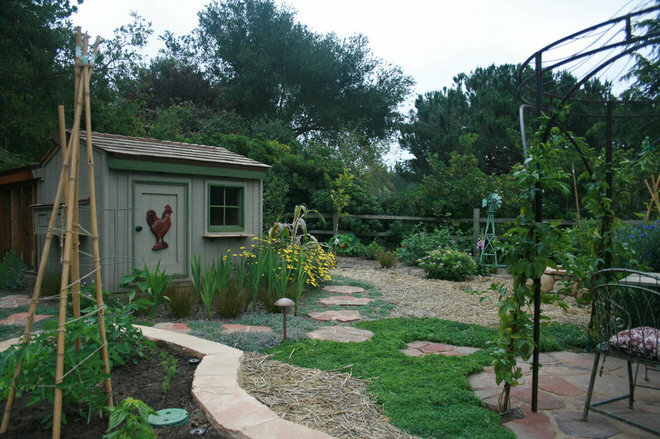 Rather than leaving bare patches of soil, use vegetable garden-friendly organic mulches such as straw or leaves. You can also try an inorganic plastic mulch, available from garden supply stores. In addition to keeping weeds at bay, mulch is a great way to conserve water by reducing evaporation. Try solarizing or smothering weeds. If weeds are a serious problem in your garden, you may need to resort to more drastic measures. Consider solarizing or smothering your soil, techniques that starve weeds of oxygen over a period of several weeks. Doing this will put your beds out of commission for several weeks, but it’s well worth it if you have a persistent weed problem that makes gardening difficult. What do you do with the weeds you’ve pulled up? Experienced composters, who know that their compost piles reach temperatures high enough to kill weed seeds and roots, can add weeds to their compost piles. However, for many home gardeners, composting weeds can potentially propagate the problem by spreading weed seeds when the compost is reintroduced to the garden. Instead, consider including weeds in “compost tea.” There are two main approaches to making compost tea: nonaerated and aerated. Nonaerated tea is made by simply filling a clean garbage can with your tea-making materials of choice and covering them with water, usually for several weeks. The resulting liquid will provide a useful — though quite smelly — fertilizer for your garden. Aerated compost tea involves the use of an aquarium aerator or frequent stirring and produces a less smelly result, in less time. Alternatively, if you’re looking for a convenient option, many cities provide regular curbside pickup of garden waste, including weeds. In most cases, this garden waste is composted at temperatures high enough to kill weeds and sold back to the community or used in public projects. Weeds aren’t evil, even if they seem that way. Take a moment to admire the resilience of these tough plants and learn what they might have to teach you. 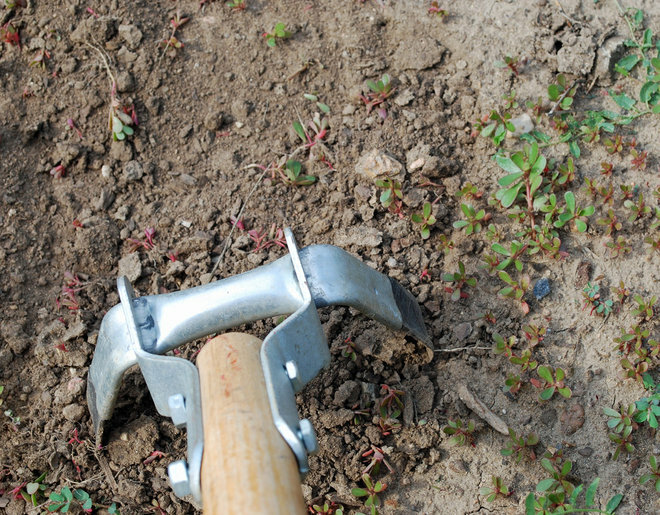 By building good soil and removing weeds regularly, you can keep weeds to a minimum.